During December 2011, a salvage excavation was conducted at 9 Masada Street in Benē Beraq (Permit No. A-6368; map ref. 18354–63/66673–81), following the discovery of ancient remains. 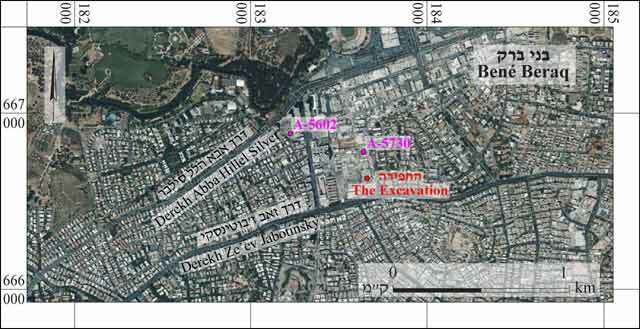 The excavation, undertaken on behalf of the Israel Antiquities Authority and underwritten by the B.S.R. Company, was directed by A. Glick, with the assistance of Y. Amrani (administration), M. Kunin (surveying), A. Peretz (field photography), S. Yihielov and A. Buchennino (preliminary inspections) and Y. Levy, A. Gorzalczany, F. Volynsky and D. Barkan (IAA Central Region). Thanks to L. Rauchberger for his help in perusing the Mandatory maps. A large winepress from the Roman period dating to the first–second centuries CE was exposed in a previous excavation that had conducted in the lot adjacent to the northern side of the current excavation area (Fig. 1; HA-ESI 122). 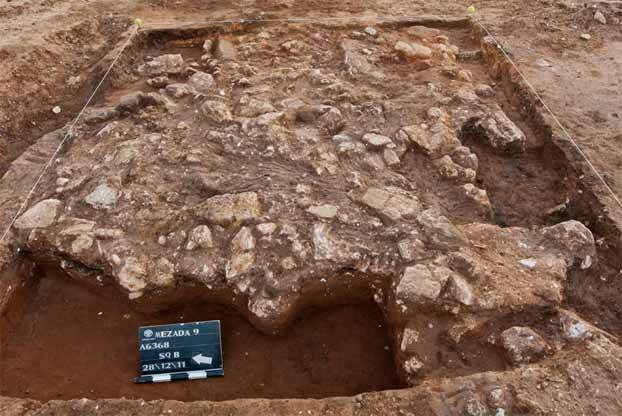 Nearby, on Abba Hillel Silver road in Ramat Gan, settlement and industrial remains that dated to the Hellenistic, Roman, Byzantine and Early Islamic periods were uncovered (Permit No. A-5602). Two half squares (A, B; Fig. 2) were opened and remains of a large irrigation system dating to the Late Ottoman-early Mandatory period were discovered. The system spanned the entire lot (min. length 52 m), generally aligned east–west. The preservation of the finds is mediocre, due to damage caused by modern construction. In addition, pottery fragments from the Roman and Ottoman periods and pieces of Marseilles roof tiles were collected. 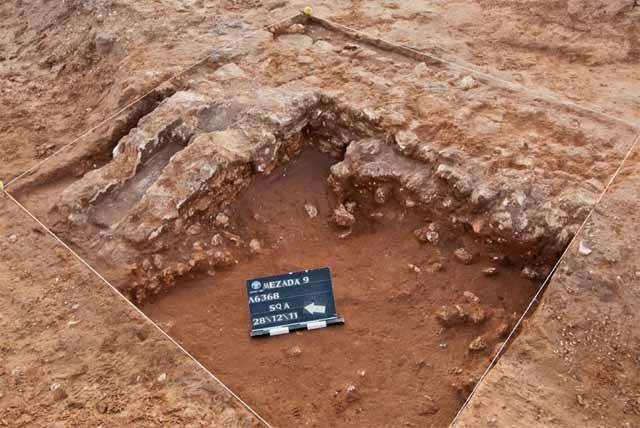 A foundation wall (W103; width 0.6 m) of a water channel that did not survive was discovered. The wall, built of small and medium kurkar stones (max. length 0.4 m) that were haphazardly dressed, was preserved six courses high (0.66 m). The plaster remains indicate that the wall had been coated with plaster. 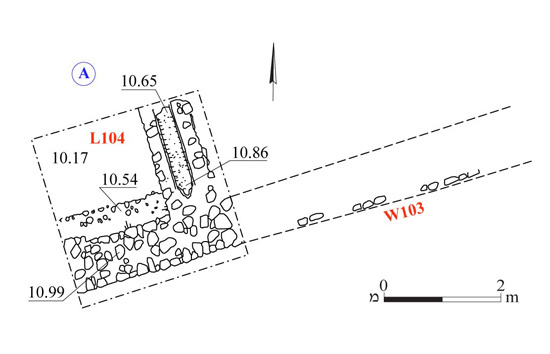 Extending north from the wall for a distance of c. 2 m was a water channel (L104; width c. 0.6 m) lined with hydraulic plaster. The channel sloped steeply (c. 10%) toward a water reservoir that did not survive and was presumably located nearby. Two phases were discovered in the channel and its upper part was sealed with two stones. Two layers of collapse, which indicate of the prolonged use of the channel and the repairs made to it, were discovered near the channel and W103. 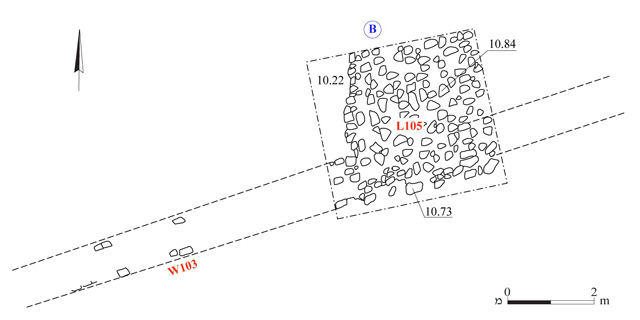 A surface (L105) of medium-sized kurkar stones (max. length 0.5 m) and founded on two concrete beams, was affixed to the north of W103. The surface presumably served as a base of an installation, possibly a water reservoir. In an aerial photograph taken by the German air force in 1918 one can see the area was covered with orchards. The area is also designated as an orchard on the Mandatory maps of the 1930s and 1940s. We know from historical sources that in the 1940s the orchard belonged to Moshe Hayyim Katz, an American citizen, for whom the Pardes Katz neighborhood was named. It seems that the remains exposed in the excavation were connected to these orchards and they enrich our knowledge about the agriculture in the region during the Ottoman period and the British Mandate era. 2. The excavation area, plan. 4. Square A, Wall 103 and Channel 104, looking east. 6. Square B, Wall 103 and Stone Surface 105, looking east.